Elizabeth Rogers meets Carol Morgan, a waterways operations team leader with the Environment Agency. 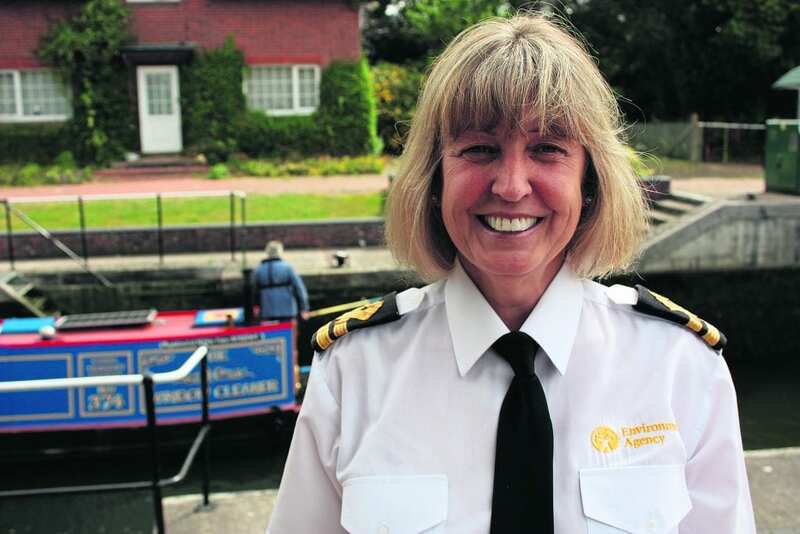 The role that Carol finds so fulfilling is as one of the Environment Agency’s waterways operations team leaders. Carol has worked her way up to her present role during the 14 years since she joined the EA staff in 2003. She spent the first 12 months working as PA to the flood defence manager. In her team she has 14 permanent staff, mostly lock keepers. To these are added, during the busiest time on the river from May to September, 20 seasonal temporary staff that assist the full-time staff of lock – and weir – keepers across the whole river. For Carol this involves the advertising for the temporary posts, followed by the various stages of this annual process of recruitment – the sorting through of applications, the interviews and the final appointments. “The recruiting of staff is quite a major part of my job,” says Carol. Then with the appointment made, she will also be involved in the training of the recruits. In many cases this may need to be more in the form of a refresher course, for there are a good number of people who return to the seasonal team year after year. It is this recruitment process that has been occupying much of Carol’s time over many recent weeks. Throughout the year there are many other aspects of the role that keep Carol busy during her very varied days. One area where safety is her concern is in the management of sporting events, such as the regattas held at venues all along her stretch of the river. Large or small, health and safety management is all-important. Among the larger events are those such as the Henley Royal Regatta, in late June and early July, and the Henley Festival which follows it. 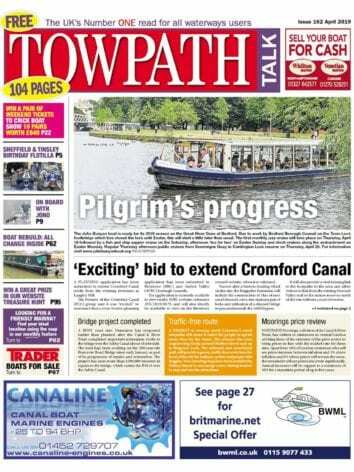 The appearance of the big-name performers booked for the festival draws large crowds, some of whose number may be aboard boats which they are not as familiar with using as the regular boaters. An appearance by Lionel Richie brought in such a large gathering, Carol well remembers. “There were so many people there in boats you couldn’t even see the water – there were both big and small craft all gathered together,” she recalls. Another annual event with which Carol became involved is swan upping, when the long-established traditional rounding-up takes place of all the swans on the river – still officially belonging to the sovereign – so that they can be given their annual check over for any injuries or other causes of concern. The inspection is carried out by the Queen’s Swan Marker and the scarlet-uniformed Royal Swan Uppers, who also record swan population numbers. Swans may enter Carol’s working day at other times, if she should receive a report of one with an injury, or having been seen in the dangerous and often life-threatening situation of having become entangled in discarded fishing tackle. On these and other such occasions involving wildlife, Carol contacts one of the swan rescue organisations or other specialist groups. There can be reports of livestock in the water, and when one such casualty was a lamb it was one of the lock keepers who came to the rescue, managing to get it out of the water and safely back on dry land. There are also the often-occurring inanimate objects floating in the water, and are one thing for which Carol keeps an eye open when she goes out on patrol along the river. It may be an uprooted tree for which a contractor needs to be called for its removal, or some other object that could cause a problem for boat traffic. “My job is to make sure that the navigation is maintained effectively,” says Carol. Liaising with boaters and ensuring that they travel safely, and working with landowners and other members of the community, provides good opportunities for personal contact with the general public. The lock keepers in Carol’s team also enjoy this contact, answering questions from boaters about how their locks work, and being able to provide local information about the area to visitors passing through. One has a novel way of integrating with the passing boaters – he gives them a scorecard each time, giving them marks according to how well they carry out the manoeuvre. “The boaters love that,” says Carol. During the winter months there is the necessary refurbishment programme with those locks due for attention closed, this during the quietest time on the river and with the closure advertised months in advance. Hers is far from being a nine-to-five job. There are early starts and late finishes, with weekend working and coverage needed at all times, including at Christmas and over the new year period. The team leaders also cover one another’s stretches of river when a team leader is off-duty or on holiday, usually a stretch adjoining their own. 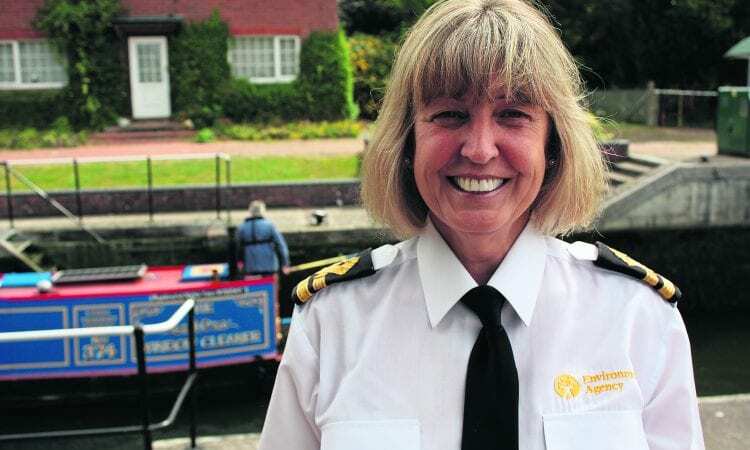 Carol was the only female waterways operations technical officer in 2006 when she took up that role, and now she is the only female among six team leaders. “But they all treat me as an equal,” she says.